Perfect to keep her warm & cuddly on her special day, this ultra soft Minky jacket is lined with flannel and trimmed in venice lace. 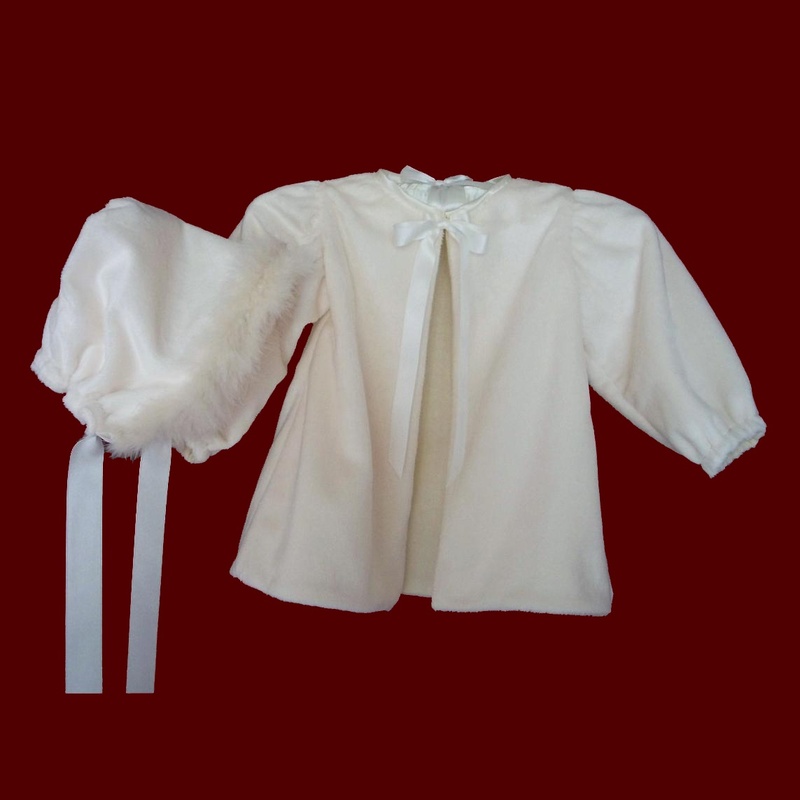 Long sleeves with elastic and ribbon to tie in front. 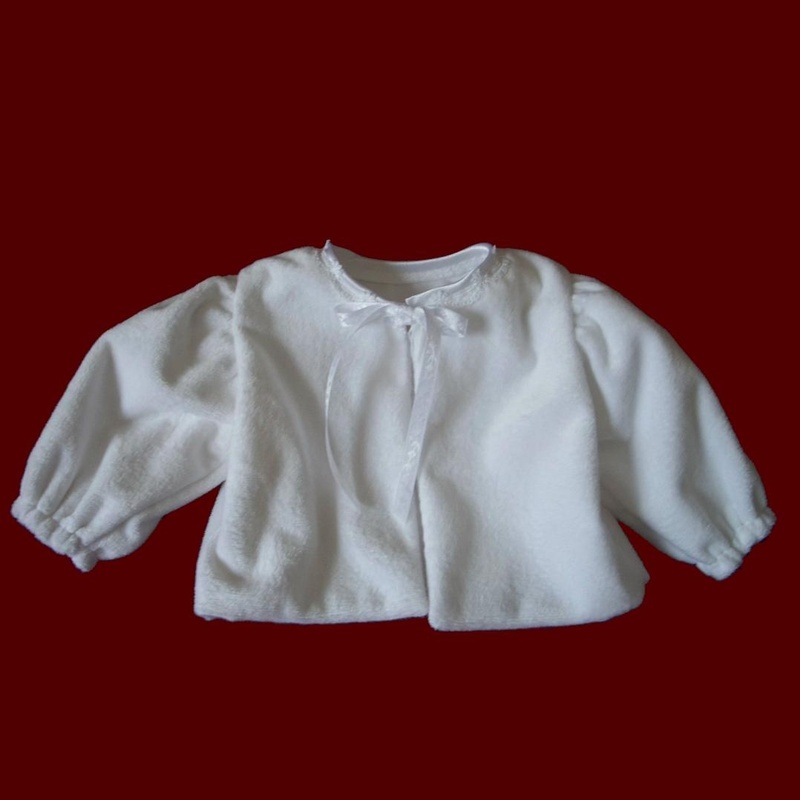 Looks beautiful over any christening gown and is available in white or ivory in all sizes in your choice of finished length ~ short 9" (shown), medium 12" or long 15". 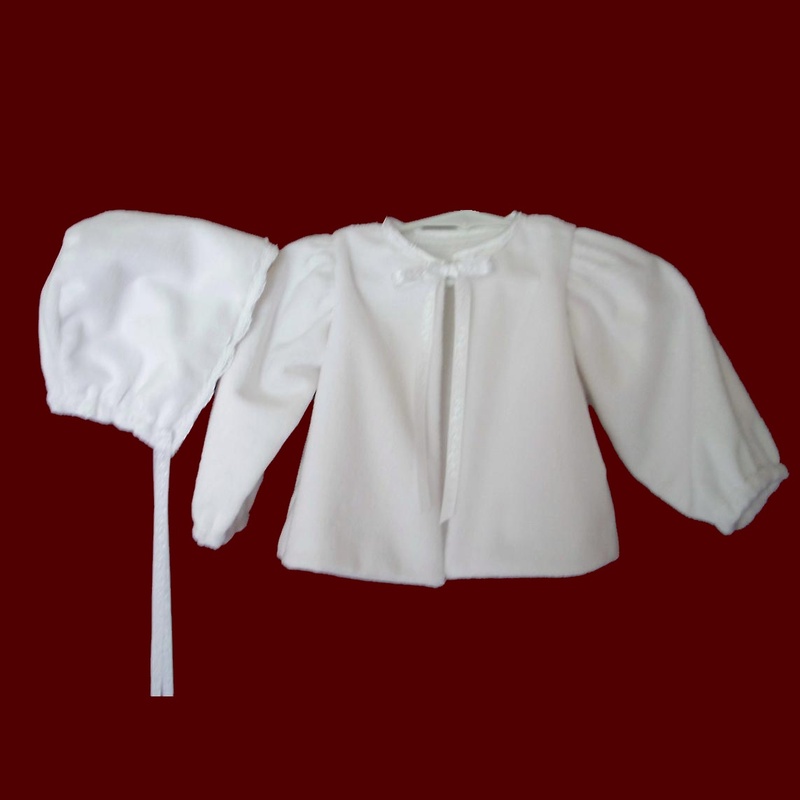 Matching bonnet also available has ribbon ties and your choice of scalloped lace or marabou boa at the front edge. Irish accents available on all items on this website. * Length Long 15 Medium 12" Short 9"